internal cylindrical grinding machine required for grinding the inner diameter, the front end of the part and end parts, maintaining a linear size. 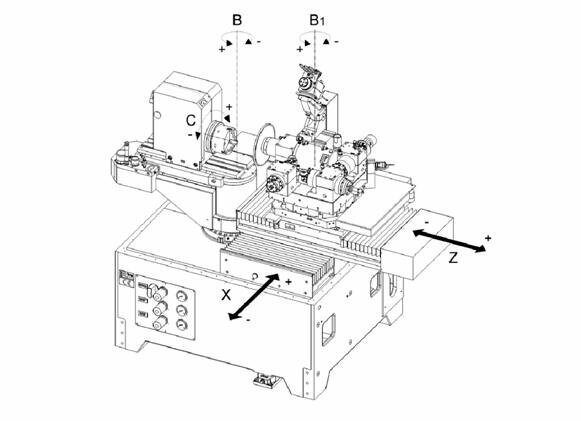 We compared the lineup of the three manufacturers of machine tools, Okamoto, Studer, Voumard. In the tool shop the majority of diameters of grinding is in the range from 6 to 150 mm, such as parts. 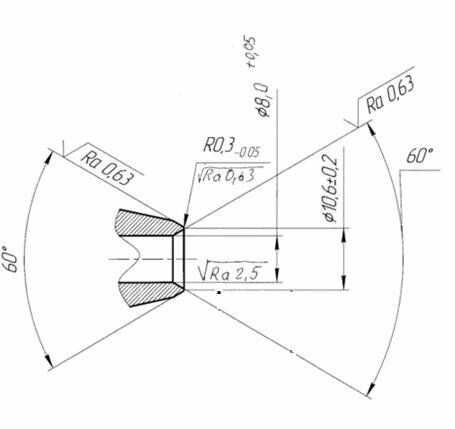 These parameters satisfy all the market internal cylindrical grinding CNC machines firms Okamoto, as well as the Voumard 110 CNC Studer and СТ450, S145, СТ960. Mount the workpiece for internal grinding machines is carried out using a 3-jaw Chuck. Grinding is the final operation or predominately therefore, the admission average is 0,008 mm. Dimension is currently manufactured by caliper, using solenyh or reference gauges, which are very time consuming, with the time of manufacture 2º. Measurement in this way increases the amount of those losses in manufacturing standard calibers because of the increase of the error based on the details in the cartridge. Eliminate it or reduce completely can equip the machine measuring head Renishaw. 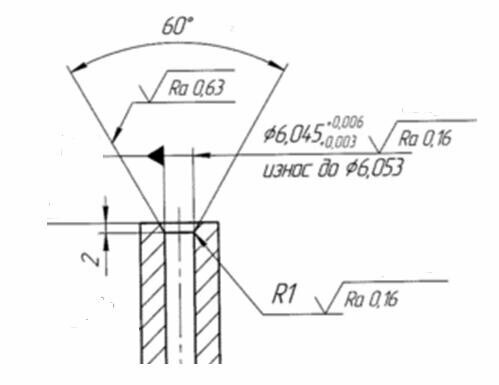 According to the experience of the measuring head Renishaw using existing machine Walter mini power accuracy is up to 0.001 mm optional measuring heads are equipped with machines internal cylindrical grinding Studer СТ450, S145, СТ960. About 15% of items with an internal cone and a precision of angular size to 0.5 minutes. Adjustment for the receipt of such size takes more than 15 min if you get the angle of the grinding wheel. A mechanical change of the angle of rotation of the table does not reduce the setup time. To completely minimize the electronic steering table. This opportunity have internal cylindrical grinding machines CNC S145, СТ960. For a smooth transition of the inner surfaces of the cylinder to the cone (Fig. 1), which are now being processed manually, resulting in deteriorating the quality of treated prior to this operation surfaces. Internal cylindrical grinding machine СТ960 has the ability to rotate the table in the process that allows you to grind a smooth transition to the details. Fig 1. Grinding a smooth transition of the inner surfaces of the cylinder to the cone. Fig 2. Grinding a smooth transition of the inner and outer surface. the Spindle with a circle for external grinding allows you to grind the outer cones 0-179º, such time-consuming details like (Fig. 2). СТ960 machine allows you to grind the front and rear surface dalbekov in a single clamping. cylindrical grinding internal grinding on this machine allow you to exclude changeovers. 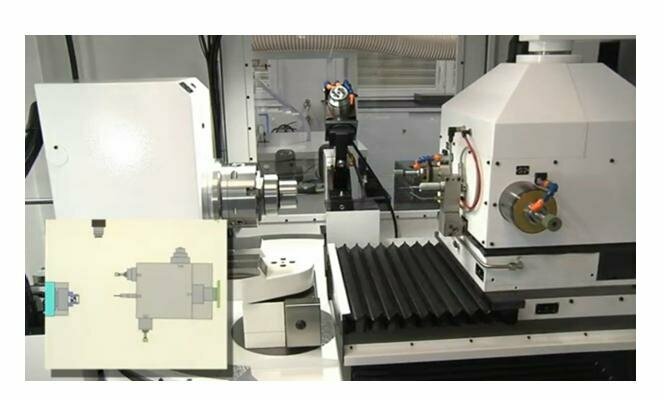 Currently grinding operation with an external angle of more than 60º are performed on optical grinding machine dry way, which leads to an underestimation of the roughness of a given drawing. it Should be noted that internal cylindrical grinding machine CNC Studer СТ960 can be equipped with 4 spindles for external and internal grinding. For tool production, we offer you to equip 1 spindle for pre-grinding and internal grinding diameters more than Ø 50 mm spindle with a rotational speed up to 30,000 rpm, spindle 2 for the final grinding and internal grinding of holes Ø 10-50 mm spindle speeds up to 60,000 rpm, 3 spindle for the grinding and sanding of holes less than 10 mm dia at speeds up to 90,000 rpm, 4 spindle – spindle for external grinding and face grinding. To increase the distance between the grinding wheels is necessary to use the turret (Fig. 3).